*If you are a government employee unable to submit due to the shutdown please contact the SNEB staff. We are going to Cuba! We met the minimum for the number of attendees to plan the tour. Space is still available so if you are interested in going email Sheila King, SNEB Director of Meetings. This webinar will provide valuable information to persons at all stages of their career for developing effective mentor-mentee relationships. Challenges to developing effective relationships include, but are not limited to identifying effective mentor-mentee pairs, approaching potential mentors, lacking defined roles or clear goals/objectives, and effective time management for both parties. Webinar attendees will learn how to define expectations and goals, overcome aforementioned challenges, and take actionable steps toward developing an effective mentor-mentee relationship. This webinar is sponsored by the Higher Education Division. Kate Burt is an Assistant Professor at Lehman College. Her research broadly aims to reduce inequities in community food systems and increase diversity in dietetics. Brandy-Joe Milliron is an Assistant Professor at Drexel University. Her research seeks to improve nutrition and well-being among individuals with cancer and their family caregivers. Look, on the shelf, it's a health halo! JNEB articles in the news: Will environmental sustainability be included in the 2020 Dietary Guidelines? 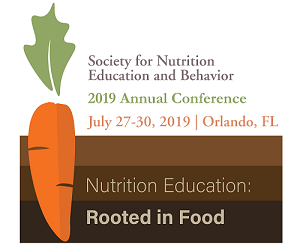 Interview: Dr. Diego Rose and SNEB Past President Dr. Adrienne White discuss why environmental sustainability should be inherent to dietary guidance, whether working with individuals or groups about their dietary choices or in setting national dietary guidance. This recognition is given annually to ad hoc reviewers who contribute numerous timely, high-quality reviews. The journal values the skills and dedication of all reviewers and their contributions to the success of JNEB. See the list here. The SNAP-Ed Toolkit helps SNAP-Ed Implementing Agencies identify and implement evidence-based obesity prevention and policy, systems, and environmental change (PSE) interventions to include in SNAP-Ed Plans. Interventions included on the SNAP-Ed Toolkit must go through a peer-review process to examine the evidence and assess evaluation findings, reach, and the potential for scaling up the interventions. The Opportunity: SNAP-Ed Implementing Agencies, interventionists, researchers, and practitioners are invited to submit interventions for review. Interventions must be submitted through an online submission portal before March 1. The objective of this grant is to facilitate the transfer of knowledge and to promote the dissemination of the health benefits of nut and dried fruit consumption, through the payment of the Open Access charges of scientific articles. Up to 18,000 EUR is available for 2019. This Call will be open the whole year, until the total budget has been expended. All projects must be submitted using the Application Form. The Guidelines and Application Form are available online. For queries about this grant, please contact Ms. Maria Pascual at maria.pascual@nutfruit.org. March 6-9 at The Washington, Hilton in Washington, D.C.
SBM's Annual Meeting & Scientific Sessions provides an excellent opportunity for attendees of all experience levels to participate in the highest caliber of professional programming devoted to research and practice in the field of behavioral medicine. Students, researchers, clinicians, and professionals in any career seeking to improve the health and well-being of others can find educational sessions and networking opportunities that fit their needs.